The Public Accounts Committee is being used to protect people from NAB investigation. The federal cabinet expressed concern over the matter and demanded the resignation of its head Shehbaz Sharif. 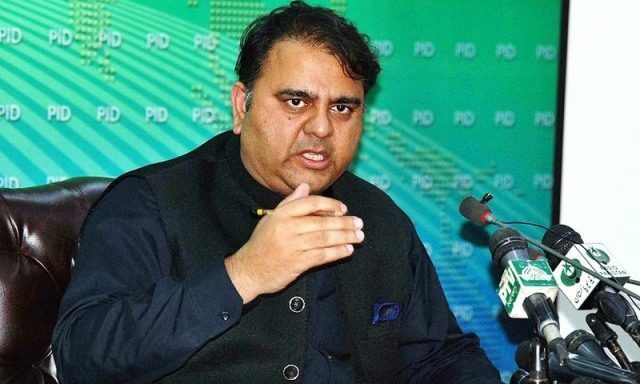 Information Minister Fawad Chaudhry shared the concerns of the government while briefing the media after a meeting of the cabinet on Thursday. Prime Minister Imran Khan has advises the housing minister to get people who have occupied public properties to vacate them. “Raza Rabbani and Mushahidullah have no entitlement. They are still living at the Ministers’ Enclave.” They have occupied government houses. The PM has said that all people should be given what they are entitled, he remarked. The court has asked for a ‘negative’ list for overseas Pakistan, he said. A list of all the posts they can’t serve. On this PM Khan, said that overseas Pakistanis are an asset and we can’t think of them as a liability. The government will present a list soon, Chaudhry remarked. The cabinet approved to form a committee to oversee the development in Kartarpur and Nankana Sahib. Punjab Governor Chaudhry Mohammad Sarwar will head the committee. “The Sikh community wants to develop the areas. We want to streamline those offers,” the federal minister said. Fawad Chaudhry said that the cabinet made a decision that all buildings in Islamabad must be accessible for people with disabilities. PM Khan has summoned a report from the CDA on the matter. He wants to know how many buildings, schools, and hospitals have this facility, said Chaudhry. He remarked that the salaried class can purchase health cards for their relatives. The strategic division briefed the cabinet about the increase in prices of commodities. “Figures show that inflation increased by 5.8% in the first six months of PML-N’s tenure and it increased by 1.4% in the first six months of PTI’s tenure,” Fawad Chaudhry said. He remarked that prices of chicken, garlic, onion, potatoes, chickpeas, and pulses have decreased. The prices have increased for tomatoes, bus fares, cement, diesel, electricity and mutton, he added. Pervez Khattak will head a committee which will review prices of commodities, he said. The government has ordered an external audit of all gas companies too.